Process 1000 photos at once! PhotoGun Lite is a photo processing app that lets you work on hundreds, or even thousands of digital photos simultaneously. 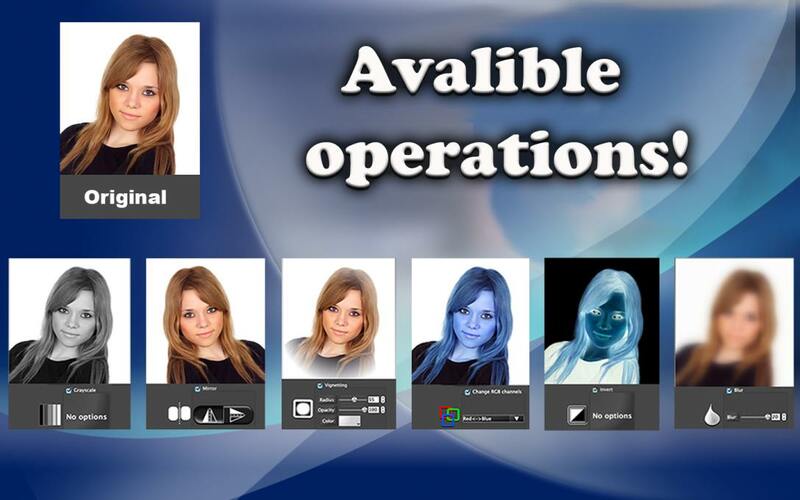 This free app contains 7 operations to help you create your ideal photos: Vignetting, Mirror, Grayscale, RGB-Order, Blur, Invert and Color Balance. 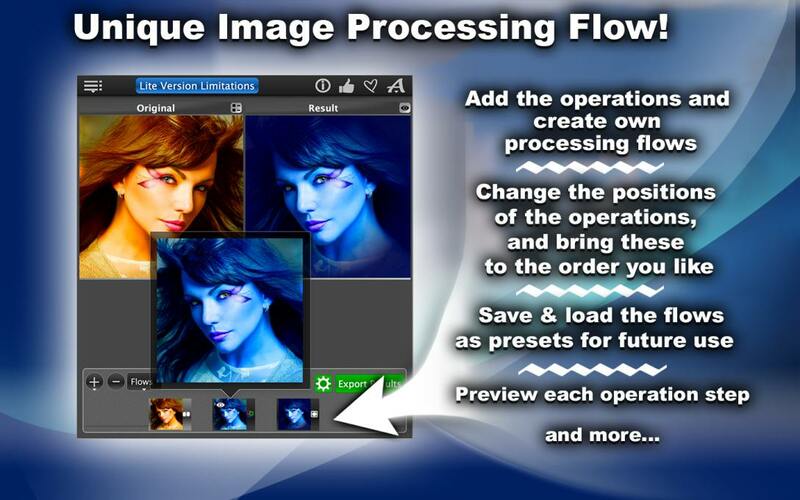 Select your pictures, Drag&Drop them into the app window, select the operations you want to perform, and let PhotoGun do all the work! 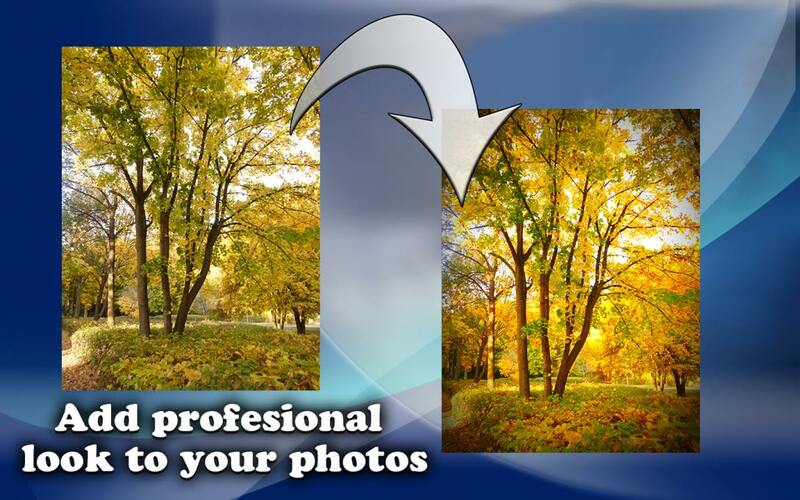 You can also convert your digital photos into a different format (e.g. JPEG, PNG etc. 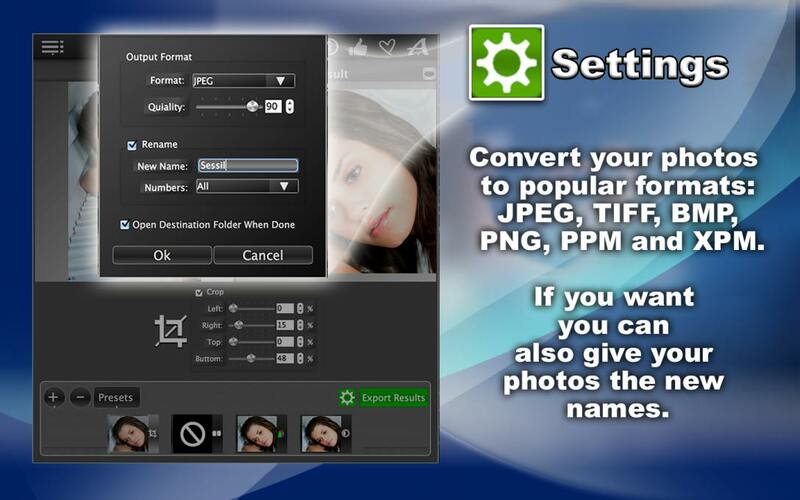 See the full list of available photo formats in Settings) and rename your fotos. In addition to this, you can create your own operation flows, change the order of the operations to achieve your desired results, or save the flows as presets that may be used over and over. You can even preview the results at every stage! – Vignetting applies a creative effect that focuses on the center of your digital photos and blurs the edges. It is very popular when working on photo portraits. – Mirror lets you flip photos vertically or horizontally, creating mirror images of your original pictures. – Grayscale converts color pictures into black-and-white images. 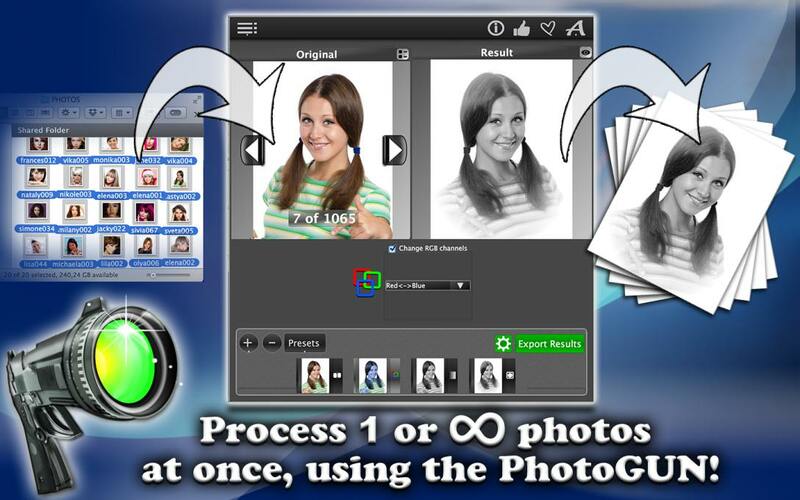 – RGB-Order swaps the color channels and lets you change the color of objects in your digital photos. – Blur hides unneeded details in your photo shots (make sure you choose your desired level of blurring). – Invert inverts the colors of your colored photos, and makes these look like photo film negatives. – Color Balance adjusts brightness, contrast and saturation of your digital photos. The Full version PhotoGun of this app has 10 more operations to help you achieve your ideal photos, such as Resize, Crop, Watermark etc. See the full list in the PhotoGun app description and upgrade to the Full version! I downloaded the app and it was mentioned to be free on app store however I was charged for it. there are two versions of the app the Lite and Full. The “Photo Gun Lite” is free.